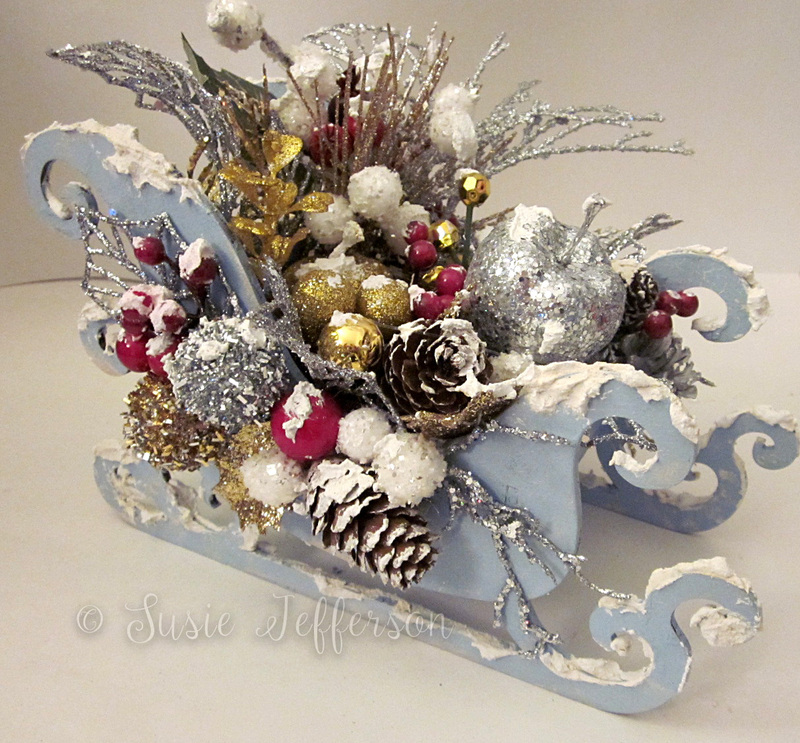 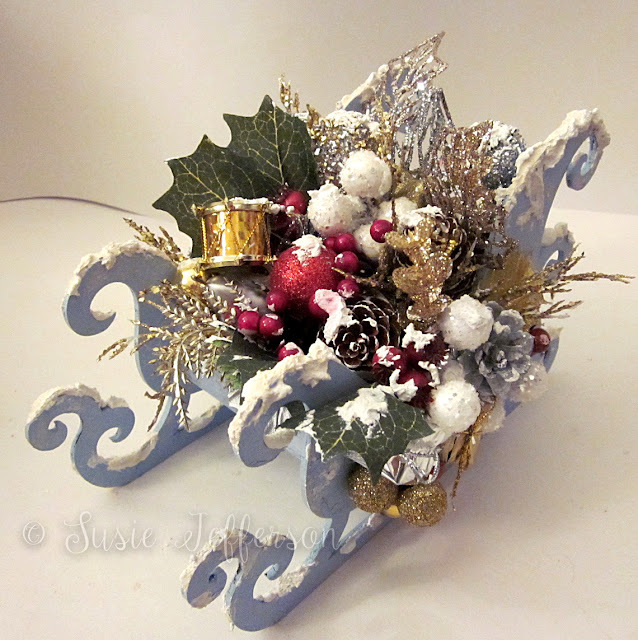 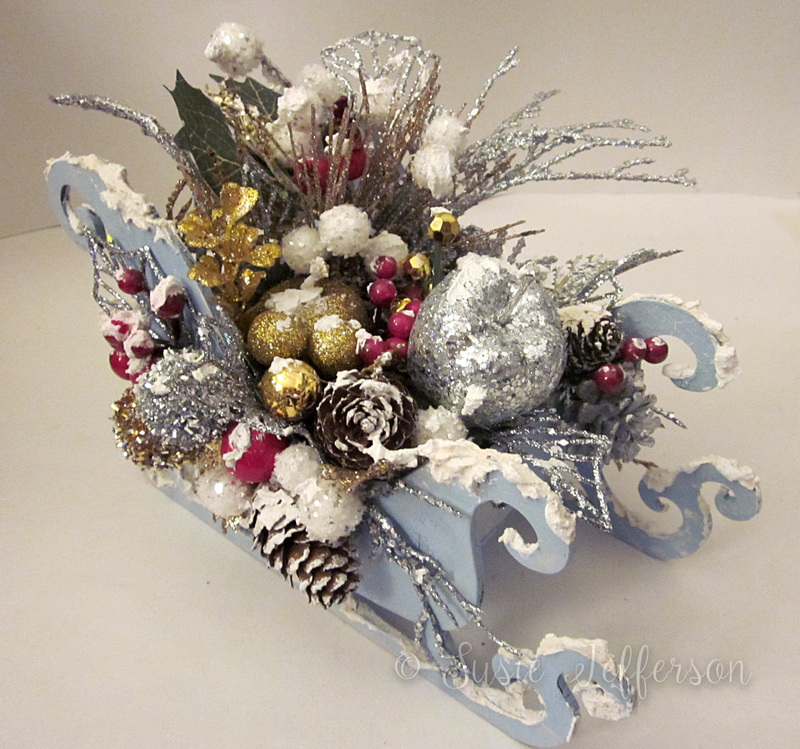 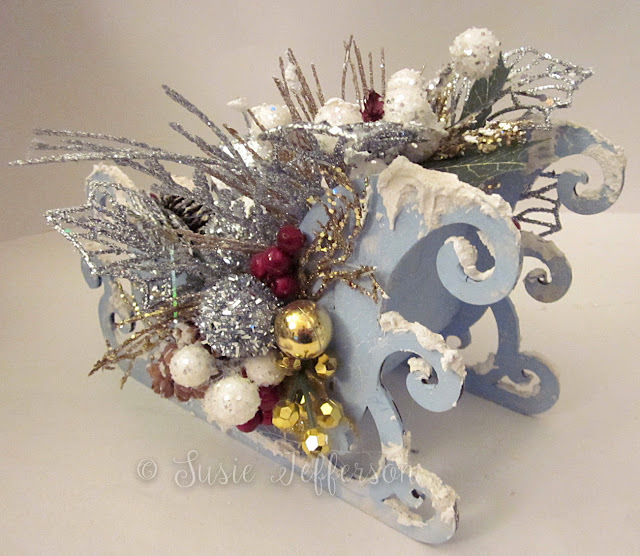 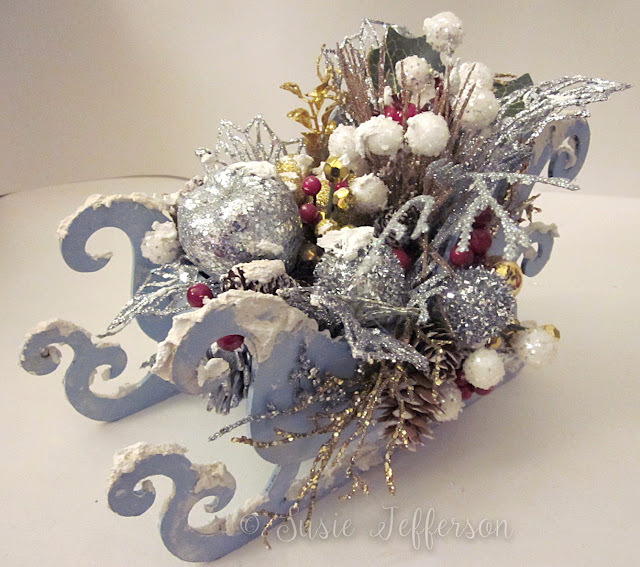 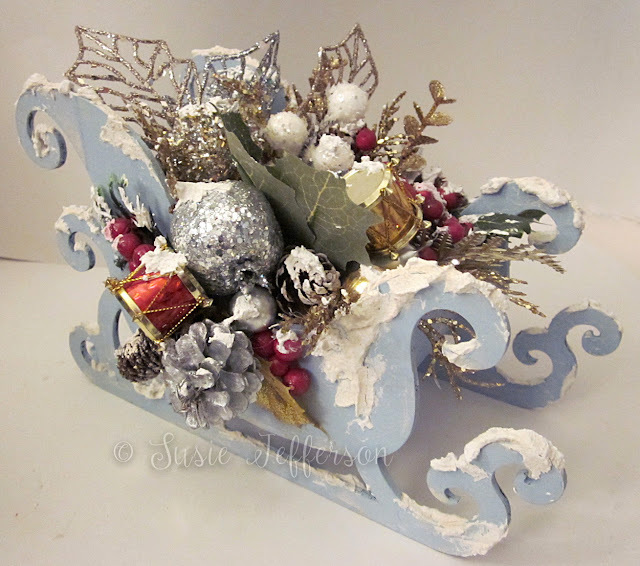 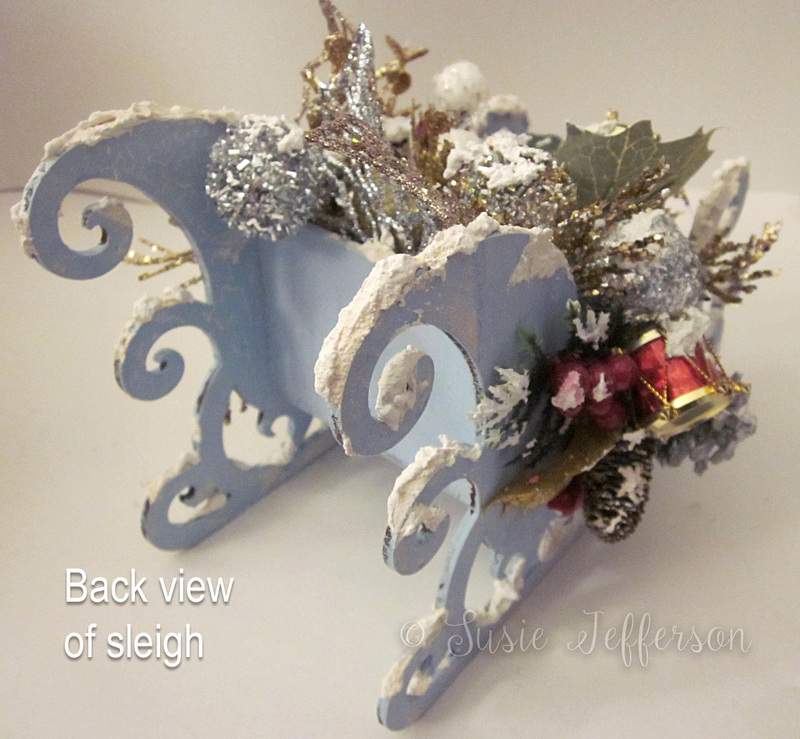 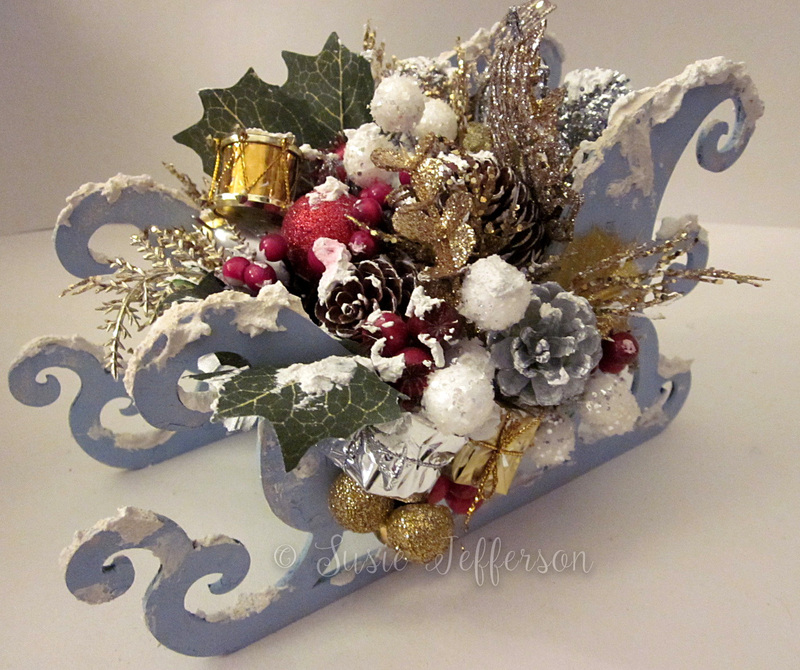 I've made two Christmas Sleighs. These are MDF ornaments/table decorations from a very plain kit (very boring brown) which I created last year (originally for a Christmas fair, which I had to cancel due to flu). 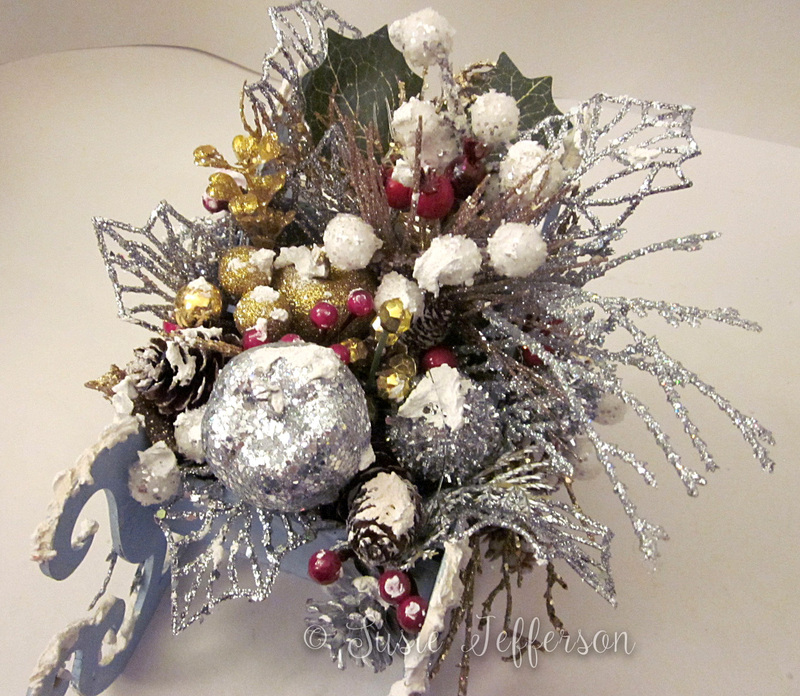 I've piled on the fake snow and glitter EVERYWHERE! 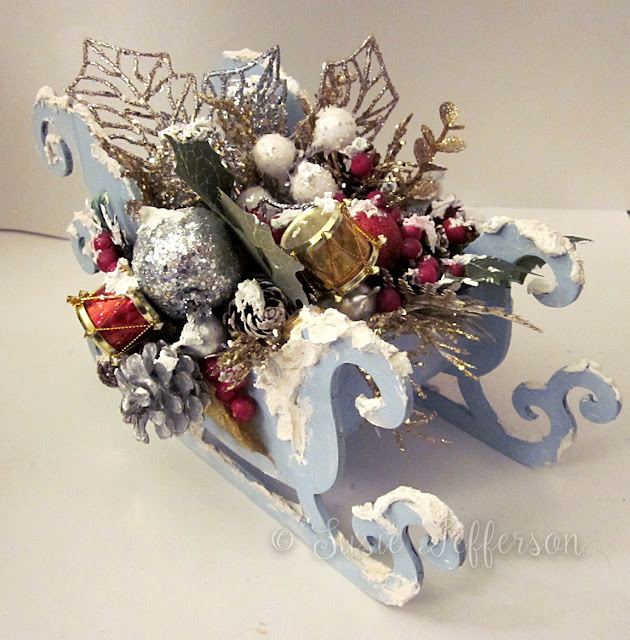 This is Sleigh No 2. 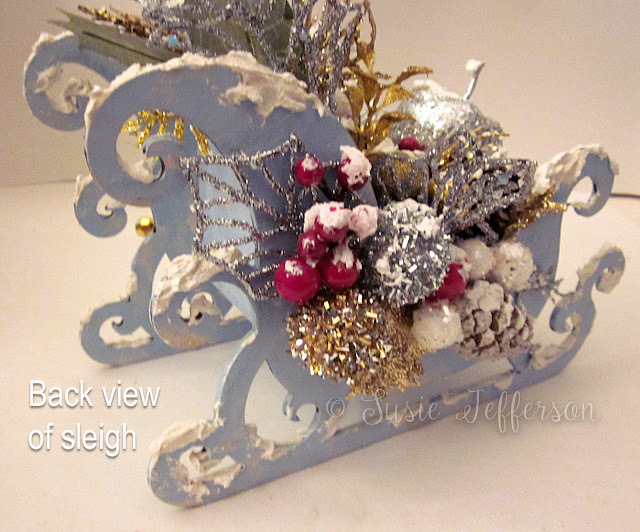 It's the same, but different... So they could be a pair, or stand alone. I just put them on eBay, hoping someone will love them and give them a new home. 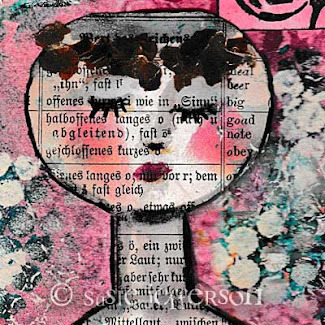 FACES - two watercolour journal pages.